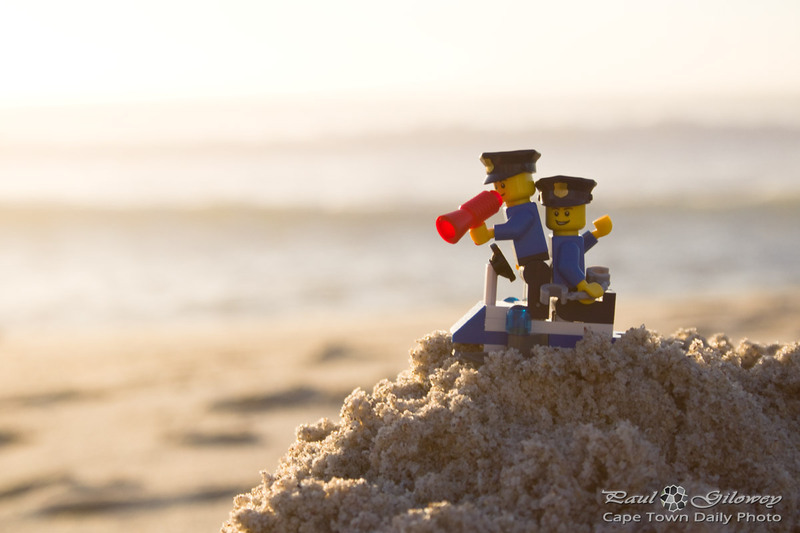 Posted in General and tagged beach, lego, police on Tuesday, 13 January, 2015 by Paul. 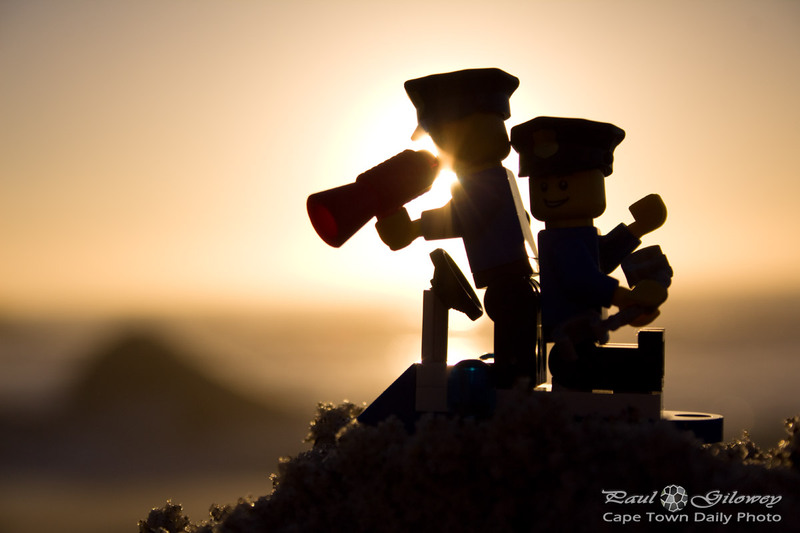 Posted in General and tagged lego, police, sunset on Monday, 12 January, 2015 by Paul. There has been somewhat concern expressed in the media about the state and reputation of our police force. But, as I guess you must know, it's not the case that our entire police force is off kilter. I have friends and acquaintances who are in the force - they're honorable, work hard, and fight crime in what's often the most dire and difficult circumstances. Posted in General and tagged police on Sunday, 7 April, 2013 by Paul. 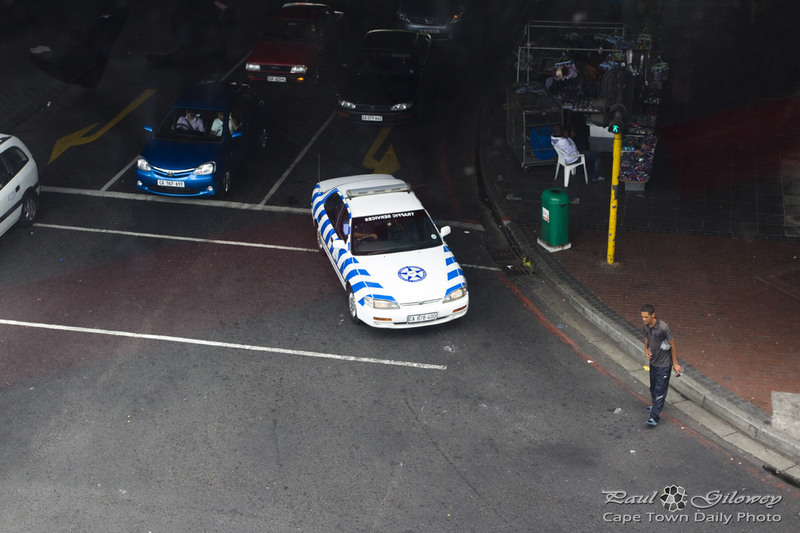 Posted in Street photography and tagged cars, police on Saturday, 16 February, 2013 by Paul. 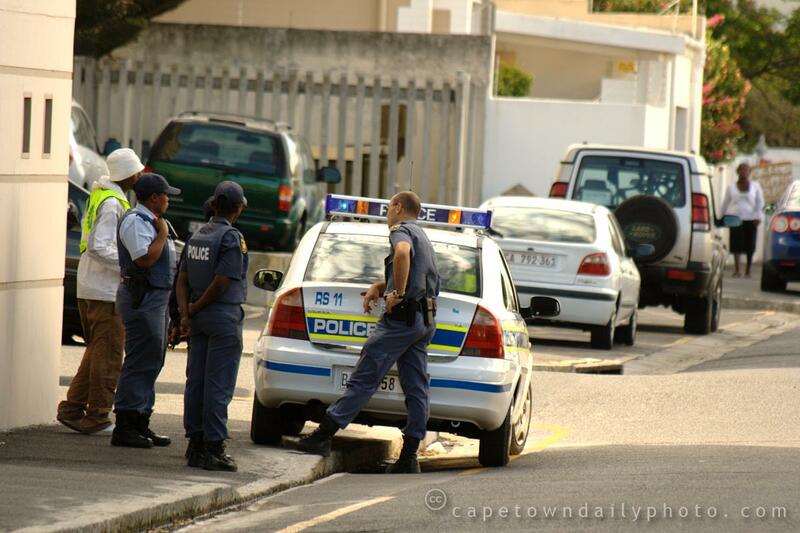 Last month Cape Town was visited by the UK's Commissioner of Metropolitan Police Services. We're told that the intention of the visit was to share information with respect to security and safety at major events, like the 2010 FIFA World Cup. Cynicism tells me however that Sir Paul Stephenson visited Cape Town to put his mind at ease that UK citizens will be safe when visiting our country next year. 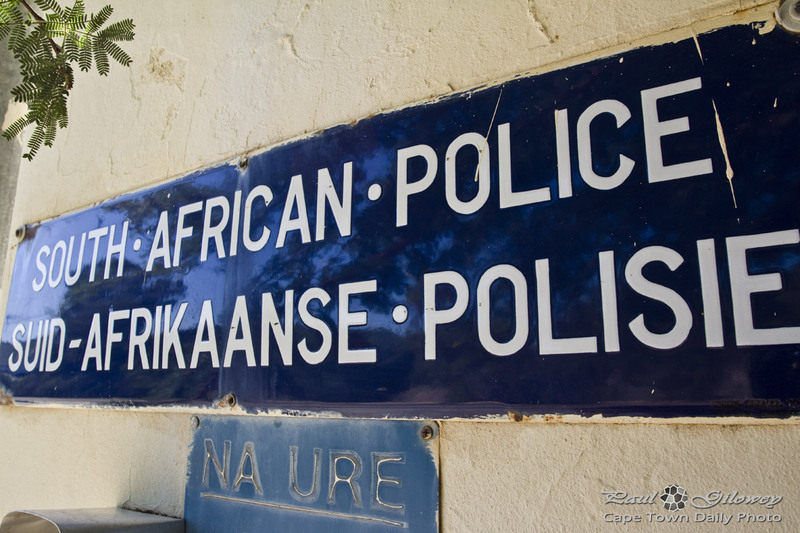 Yesterday the South African National Defence Force and South African Police Services started conducting training exercises to help prepare security personnel for managing safety and security in 2010. The Confederations Cup, being held in a couple of months' time, will be great training to help the police and military put into practice what they're learning at the moment. So, when next year rolls around we'll be confident of our ability to keep visitors and locals safe at these large events. Posted in Street photography and tagged 2010 world cup, people, police on Tuesday, 17 March, 2009 by Paul.